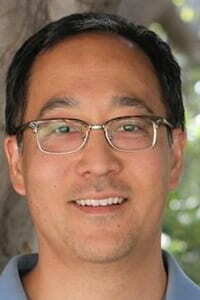 Richard Chino, of Pasadena, CA, graduated from CMC in 1990 with a major in Economics/Accounting and Mathematics. After graduating, he spent 5 years in Management Consulting, received his MBA from Northwestern University, and spent 12 years in the online marketing industry, most notably with GoTo.com, Overture, Yahoo!, and ValueClick. He currently is on the board of C2FO, ShipHawk, Staff Ranker, and the Pasadena Angels, and is an advisor to a handful of startups. Mr. Chino is a member of the CMC Board of Trustees and the CMC Alumni Association Board. He has also been active with CMC’s Mentoring Program since its inception, and has conducted case interview workshops to prepare CMC students for Management Consulting interviews.